A self-professed member of the “cult of Velázquez,” Léon Bonnat would become one of the most successful and fashionable portrait painters of France’s Third Republic. His studies at the Royal Academy of San Fernando in Madrid and at the studios of José de Madrazo y Agudo (1781-1859) and his son, Federico (1815-1894), both pupils of David and Ingres, were supplemented by a less formal education: Bonnat sketched and studied at the Prado, where he was influenced by the unflinching realism, somber palette, and emotive brushstrokes of Spanish Baroque art. From 1854 to 1857 Bonnat was in Paris, studying with the French history and portrait painter Léon Cogniet (1794-1880). Famous for his loose, painterly style, Cogniet encouraged the artist to pursue his dual interests in the formalities of academicism and the impulsive freedoms of an impressionistic approach. In 1857, supported financially by his native city of Bayonne, Bonnat traveled to Italy. It was here that he would both confirm his interests in religious and historical subjects and discover landscape painting en plein air, a practice that he would engage in most successfully during an expedition to the Middle East in 1868. Bonnat’s companions on this later journey included such illustrious personages as Jean-Léon Gérôme (1824-1904), whose slick, highly polished, and painstakingly detailed canvases stand in sharp contrast to Bonnat’s more broadly painted views. Jerusalem, painted at the moment of the artist’s awe-struck arrival at that city and currently in the inventory of Gallery 19c, demonstrates the intimacy, the energy, and the robust, sculptural quality of Bonnat’s artwork at this time. Though only a brief interlude in his long and prolific career - he would cease exhibiting Middle Eastern subjects in 1876 and quit them altogether in 1882 - Bonnat’s Orientalism had a profound and enduring effect. The genre and landscape sketches that the artist created between January and April 1868, along with photographs supplied by Gérôme’s brother-in-law Albert Goupil (1840-1884), the designated cameraman of the group, formed the basis for numerous later paintings. By the early 1880s, several of Bonnat’s Orientalist works were in prominent American collections, their popularity only fueled by the artist’s eventual renunciation of the theme. In 1867, Bonnat was named Chevalier de la Légion d’Honneur. He became an Officer in 1874, and a Commander in 1882. Having been a regular exhibitor at the Paris Salon since 1862, Bonnat claimed a gold medal in 1869 – one of many such prizes and awards he would receive during his lifetime. 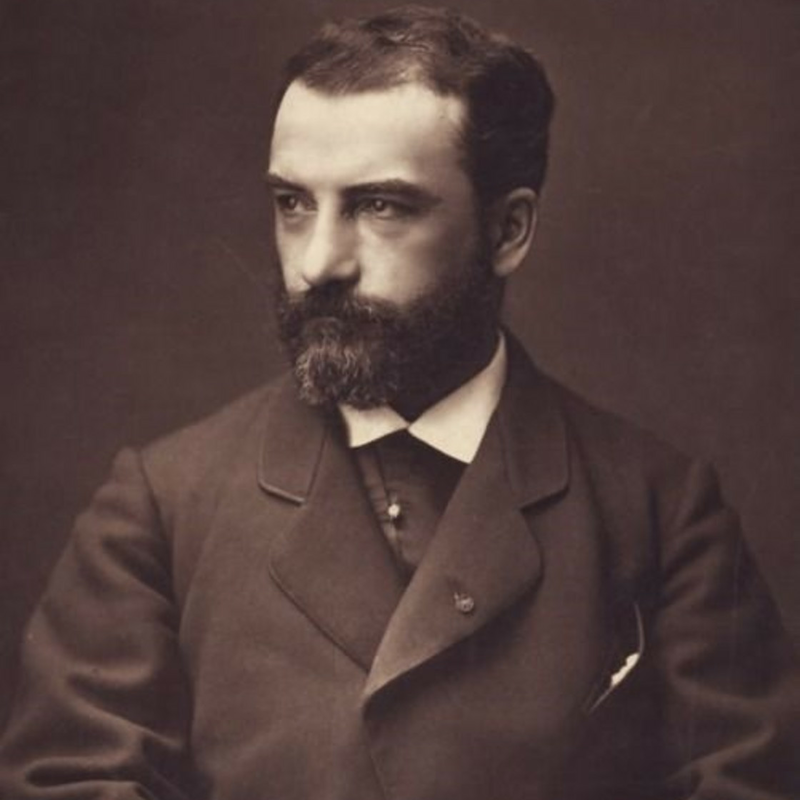 His success at such institutions led him to accept a variety of important academic titles and prestigious positions: he was a member of the Institut de France and, in 1881, became President of the Société des Artistes Français. In 1886, Bonnat, along with Alexandre Cabanel (1823-1899) and other prominent French artists, undertook the most important Parisian decorative commission of the period, the interior of the Panthéon. In 1905, in recognition of the impact he had had on the arts and the influence of his teachings at the school, Bonnat became Director of the École des Beux-Arts. (Bonnat also successfully ran two independent ateliers, one for men and one for women. His international clientele included Thomas Eakins [1844-1916], Jean Béraud [1848-1935], an artist whose work is currently featured at Gallery 19c, Gustave Caillebotte [1848-1894], Edwin Lord Weeks [1849-1903], John Singer Sargent [1856-1925], Edvard Munch [1863-1944], Henri de Toulouse-Lautrec [1864-1901], and a variety of other students from as far away as Egypt, Spain, Greece, and Japan.) Later financial success as a portraitist allowed Bonnat to pursue his other interests, and to collect the Old Master paintings and drawings that had inspired him in his youth; many of these are now at the Musée Bonnat-Hellau, the museum he founded in Bayonne. Léon Bonnat, “Velázquez,” Gazette des Beaux-Arts 19, no. 489, March 1898, p. 177. At the French Academy in Rome, Bonnat would meet Gustave Moreau (1826-1898), Edgar Degas (1834-1917), and Jules Lefebvre (1836-1911); he was also a friend of Edouard Manet (1832-1883). Catherine Lorillard Wolfe (1828-1887), for example, owned Bonnat’s remarkable Femme fellah et son enfant (Salon, 1870). This work was bequeathed to the Metropolitan Museum of Art in 1887. Also popular among American collectors were Bonnat’s Italian subjects of the 1860s. Bonnat painted about 200 portraits; a series after 1875 featuring prominent American and European men and women included such luminaries as Victor Hugo (1879, Musée d’Orsay) and Louis Pasteur (1886, Musée Pasteur).